We want pre-nup we want pre-nup...yyyeeaah. 18 years..18 years...went 18 years and found out it wasn't his. Oh I get it. 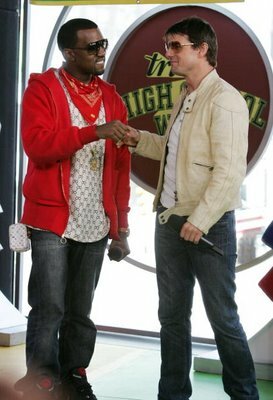 Kayne is Katie Holmes baby daddy.